An efficient and fun way to cut through the city. 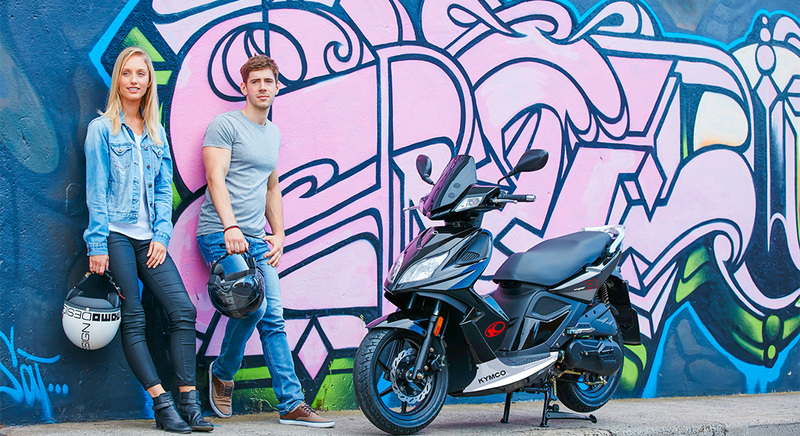 With aggressive sports styling and a zippy 49cc engine, KYMCO Super 8 50 2T is an efficient and fun way to cut through the city. The twist and go CVT automatic transmission makes riding simple while the low emission two-stroke engine delivers responsive power. Larger 14 inch wheels and compliant suspension provide a stable ride while a disc front and rear drum brake support sure stopping. Lockable under seat storage, rear rack and fold down pillion pegs ensure you’ll have room for both your shopping and a pillion rider. With great styling and easy to ride features, KYMCO Super 8 50 2T is the perfect scooter for your busy city lifestyle.